You think the Wright Brothers were impressive? Hot air balloons were carrying people through the air almost a century before the Wright Brothers were even born. Here are some oddities from the oldest form of human flight. 1. 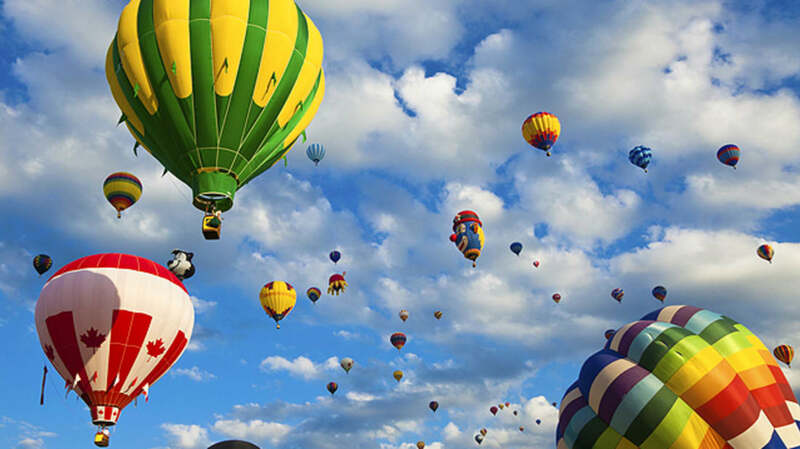 A rooster, a duck, and a sheep were the first hot air balloon passengers. In 1783, the first hot air balloon was set to fly over the heads of Louis XVI, Marie Antoinette, and the French court in Versailles. Like monkeys in space, this odd assortment of animals was chosen to test the effects of flight. Sheep, thought to be similar to people, would show the effects of altitude on a land dweller, while ducks and roosters, which could already fly (albeit at different heights), would act as controls in the experiment. The balloon flew on a tether for 8 minutes, rising 1500 feet into the air and traveling 2 miles before being brought safely to the ground. The animals were unharmed. 2. The first pilots were almost condemned criminals. When it came time to choose a pilot for the first hot air balloon flight, Louis XVI didn’t want to be responsible for potential fatalities, so he figured: Hey, condemned criminals are going to die anyway, let’s have them fly the balloon. Luckily, he was talked out of the idea. 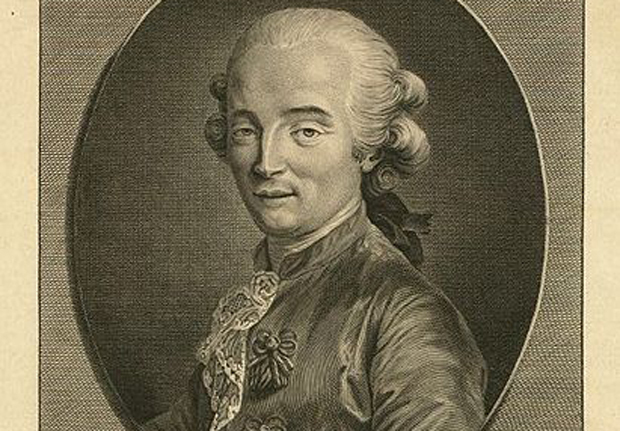 Instead, scientist Jean-François Pilâtre De Rozier (above) and aristocrat François Laurent d’Arlandes were chosen to fly the balloon. On November 21, 1783, the men flew for 20 minutes, becoming the first people to experience sustained flight. 3. The first pilot was also the first air crash victim. Following the flight, Rozier became the Charles Lindbergh of his day. Two years later, he decided to break another record by crossing the English Channel in a new kind of balloon, one that was half hot air, half hydrogen. Sadly, 30 minutes after taking off, the balloon exploded. Rozier and his co-pilot were killed, giving him an unfortunate new record: the first person to fly in a balloon, and the first person to die in one. 4. Champagne after flight originated to appease farmers. As hot air balloons became a fad, French aristocracy soon learned that local farmers didn’t much like rich people setting balloons down on their land. The aristocracy said the peasants were afraid because they thought the balloons looked like dragons, but while the smoke that powered early balloons may have appeared dragon-like, it seems more likely that the farmers didn’t want hot air balloons crushing their crops. In any case, champagne smoothed things over, and a tradition was born. 5. 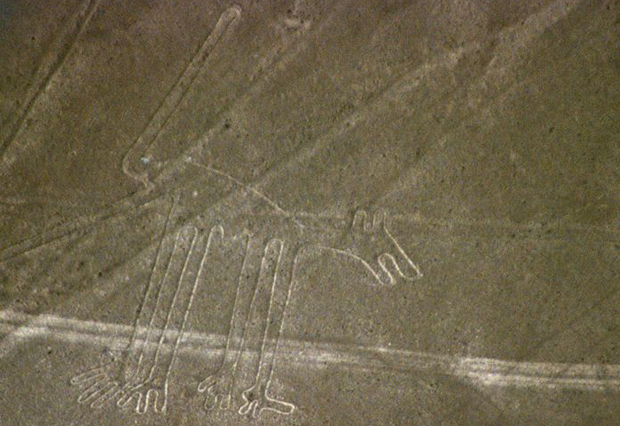 Some believe the Nazca Lines were made with hot air balloons. This theory was put forth in the 1970s by Jim Woodman, who said that ancient Peruvians drew the giant figures in the Nazca desert with the help of hot air balloons. Woodman referenced ancient pottery that he thought depicted ballooning, as well as fabric fragments that could have been used as a balloon’s envelope. He even went so far as to make his own balloon using only the resources that would have been available to ancient Peruvians. The theory has been largely discredited, but some still believe balloons had something to do with the Nazca lines. 6. There was even a balloon duel. In 1808, two Frenchmen found themselves in a love-triangle with Mademoiselle Tirevit, a celebrated opera dancer, and took to the skies above Paris for a duel. While a crowd gathered below to watch what they thought was a balloon race, the men pulled out blunderbusses and aimed at each other’s balloons. Two shots were fired. One balloon was punctured and crashed to the buildings below, killing its occupants. The other man descended to the ground unharmed, and presumably gained Tirevit’s hand. 7. Hot air balloons were used for war reconnaissance. In 1794, during the Battle of Fleurus in the French Revolution, a balloon called Entreprenant was flown for aerial observation to suss out enemy positions during combat. The balloon, which was tethered, flew for 9 hours. During this time, the aeronaut wrote down the movement of Austrian troops and dropped the dispatches to the ground. 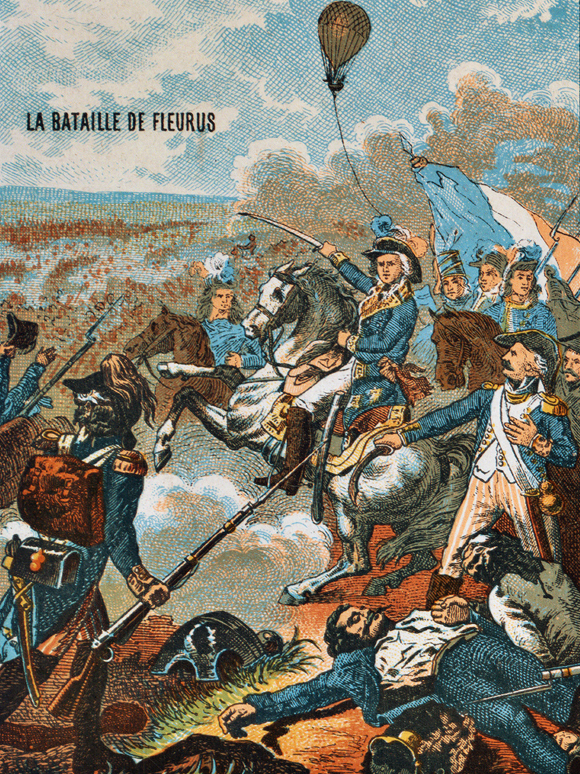 It’s unclear whether the dispatches helped all that much—the generals were tactfully quiet on the matter—but the French did win the battle. 8. The Civil War had a Balloon Corps. Established by Abraham Lincoln, the Balloon Corps had seven balloons, at least 12 gas generators, and a flat-top balloon barge that used to be an old steamboat. The balloons, which had names like Intrepid, were used to spy on enemy movement from as far as 15 miles away. Not to be outdone, the Confederates made their own balloon—out of fine dress silk—that was eventually captured by the Union army. The Balloon Corps disbanded in 1863, as it turns out that giant balloons make good targets to shoot at during combat. 9. Smoke balloons were crazy carnival attractions. From the 1800s to the 1900s, traveling fairs often featured a daredevil show involving smoke balloons. A stuntman wearing a parachute was attached to a basket-less balloon, which was then held over a fire until very hot. The balloon was released and shot into the air, dragging the stuntman up with it. When the balloon reached the highest point, the stuntman detached, opened the parachute, and descended to the ground again, much to the delight of the crowd below. 10. Someone invented a glass-bottom balloon. Imagine floating thousands of feet above the earth with nothing between you and the ground but glass. This is what passengers experienced when Christian Brown debuted his glass-bottom hot air balloon at the 2010 Bristol International Balloon Fiesta. Brown told the British press the flight was “terrifying” and trial flights had ended “with passengers shrieking and screaming in fear.” There’s talk of opening the glass-bottom balloon to the public. Sound fun?